Treat Mom on May 14! How many times over the years has your mother made you breakfast/brunch/dinner/cake? Sent you care packages in the mail? Listened to you complain about school/work/life? Reminded you to make time for a healthful breakfast? Probably many, many times. Your mom deserves a big "I love you" on Mother's Day. Let us do the baking and you write the heartfelt note. Out of town mom? Brownies & shorbread minis are a perfect "I love you." Use the code LOVEMOM for 20% off your order, between now and May 12. Local mom? 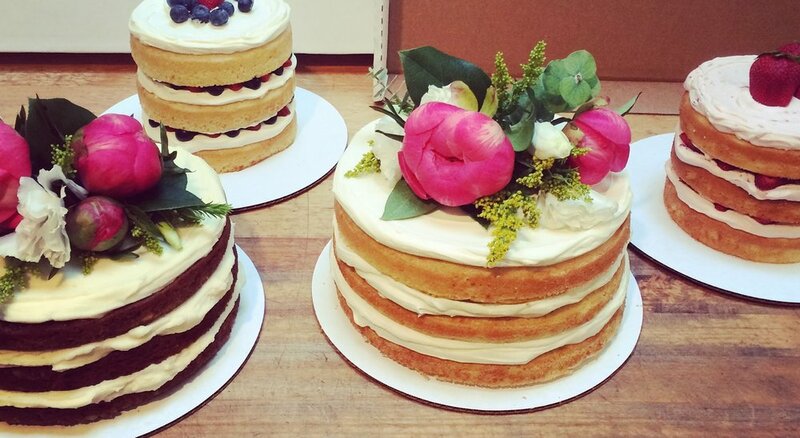 Treat her to a beautiful naked cake topped with flowers this Mother's Day! 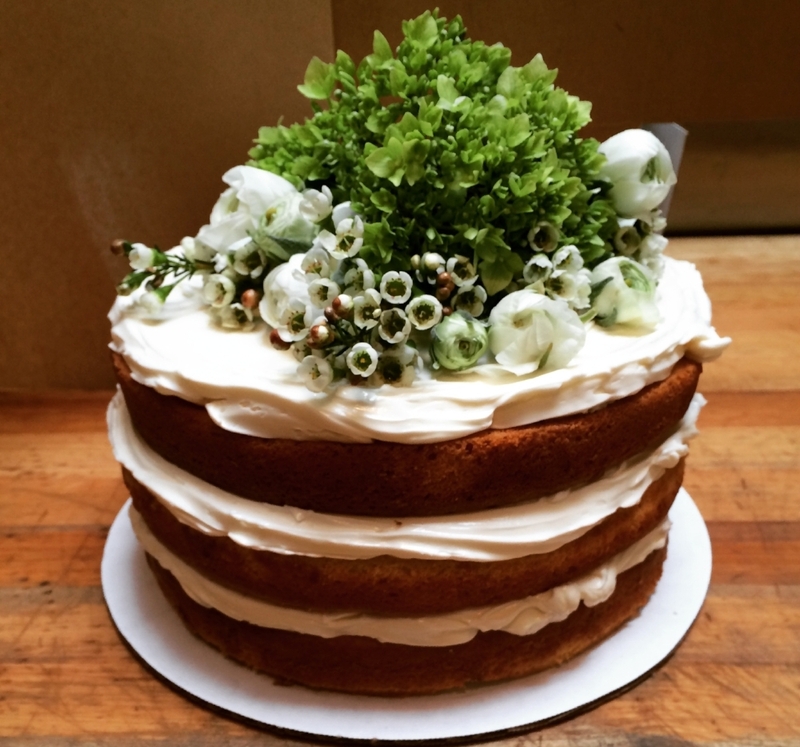 6", 3 layer naked cakes available in lemon/vanilla, carrot/cream cheese, or chocolate/chocolate, topped with seasonal flowers. $50 each, 72 hour preorder required for pickup May 12-14. Email info@batterbakery.com to order. Celebrate Summer with us at CUESA's Summer Celebration June 11! Bunnies, Brunch & Baskets... Time for Easter!